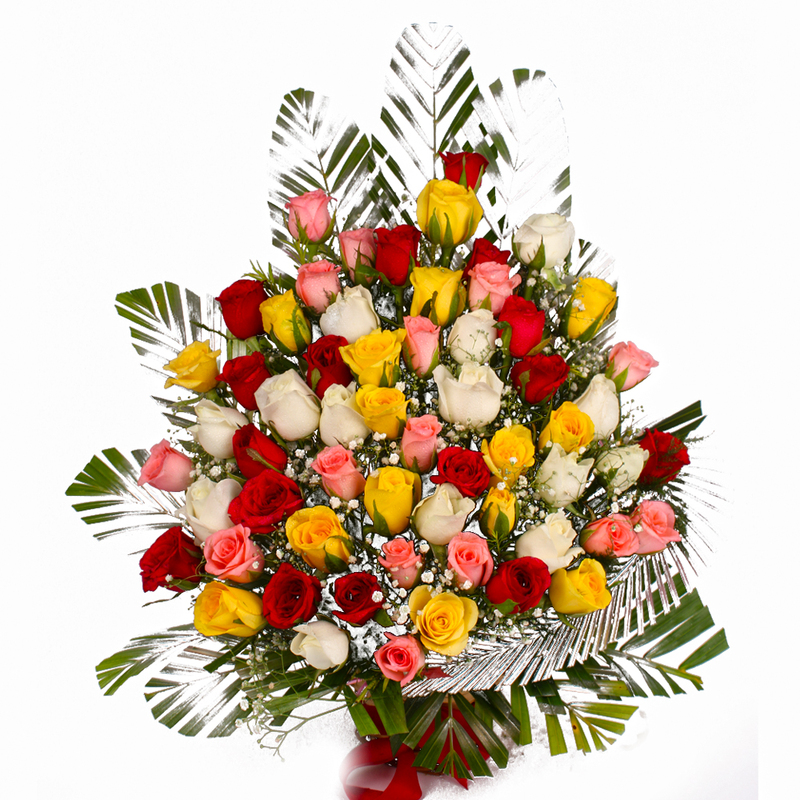 Product Consist : One Side Basket Arrangement of 75 Mix Color Roses. 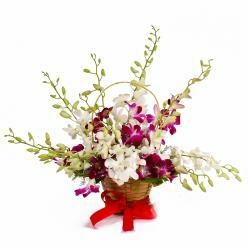 Stunning is the right word to describe awesomeness of this remarkable gift brought to you by Giftacrossindia. 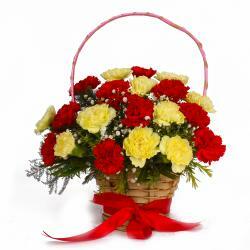 This is a beautiful basket of colorful roses fresh from the garden tied and exquisitely arranged in a designer basket. 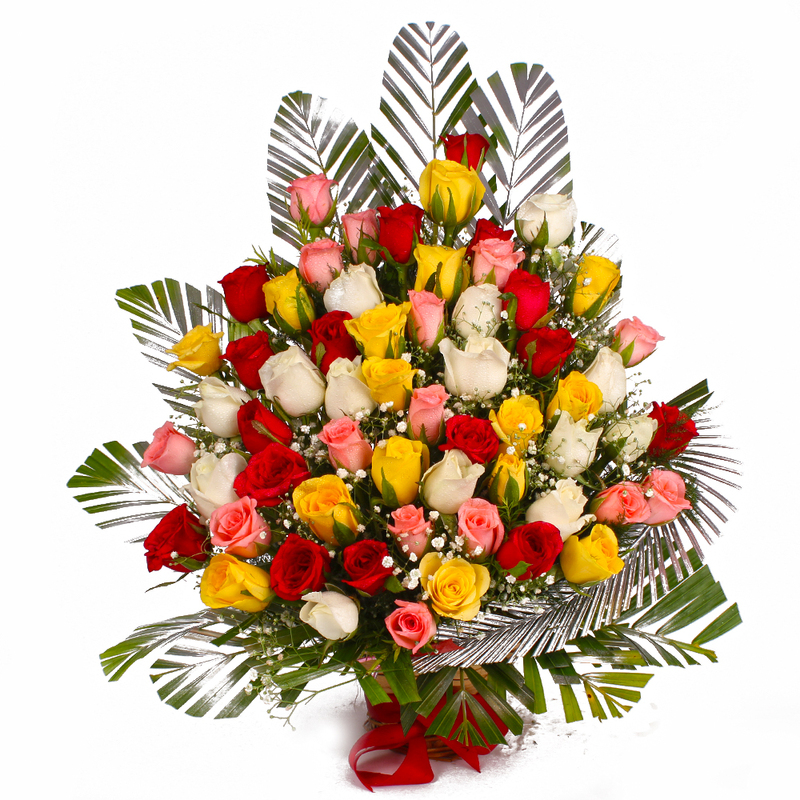 This breath taking gift of basket arrangement of seventy five colored roses is all set to touch hearts of your loved ones with warmth of your unconditional love. So speak your heart out by sending such heart melting gifts for loved ones and make them feel loved and cherished. 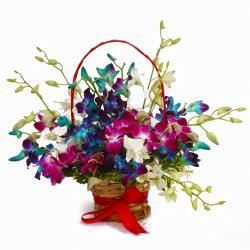 You can Send these flowers on Birthday, Anniversary, Independence Day, Thanksgiving Gift, Friendship Day and many more. 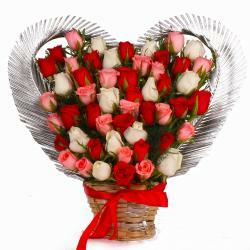 Product contains : One Side Basket Arrangement of Seventy Five Mix Color Roses.